Geography is a subject which throughout its history has been dominated by men; men have undertaken the heroic explorations which form the mythology of its foundation, men have written most of its texts and, as many feminist geographers have remarked, men's interests have structured what counts as legitimate geographical knowledge. This book offers a sustained examination of the masculinism of contemporary geographical discourses. Drawing on the work of feminist theories about the intersection of power, knowledge and subjectivity, different aspects of the discipline's masculinism are discussed in a series of essays which bring influential approaches in recent geography together with feminist accounts of the space of the everyday, the notion of a sense of place and views of landscape. In the final chapter, the spatial imagery of a variety of feminists is examined in order to argue that the geographical imagination implicit in feminist discussions of the politics of location is one example of a geography which does not deny difference in the name of a universal masculinity. 1. Feminism and Geography: An Introduction. 2. Women and Everyday Spaces. 3. No Place for Women?. 4. 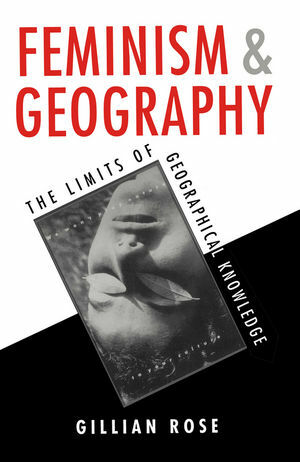 The Geographical Imagination: Knowledge and Critique. 5. Looking at Landscape: The Uneasy Pleasures of Power. 6. Spatial Divisions and Other Spaces: Production, Reproduction and Beyond. 7. A Politics of Paradoxical Space. * This book provides a sustained examination of the epistemological claims of geography as an academic discourse. * It offers a feminist critique of the masculinism of geography's claim to know. * It offers a critique of some major strands of current geography.